Visit Upstate NY's Charming Cape Vincent in the 1000 Islands Region! Cape Vincent, NY is a charming village in upstate New York's beautiful 1000 Islands Region. The village is home to a wide range of parks, museums and other attractions while offering some of the most breathtaking scenery in the 1000 Islands Region. 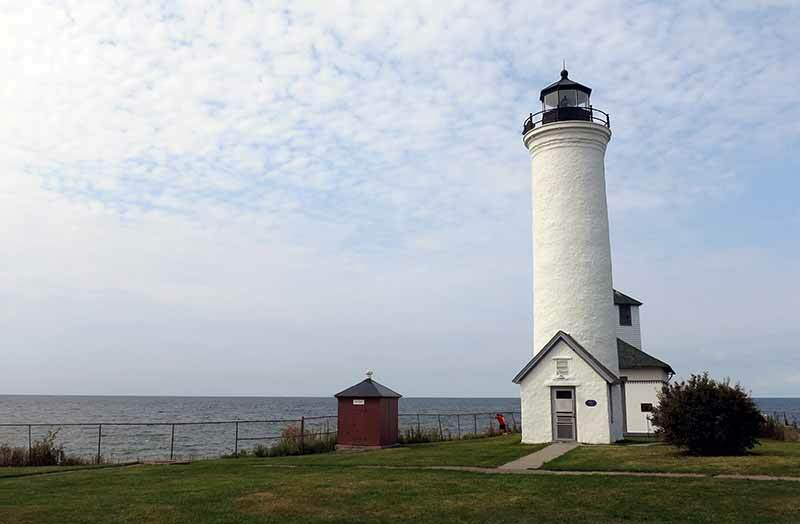 Cape Vincent lies where Lake Ontario meets the St. Lawrence River. Aside from the spectacular view, this region is ideal for swimming, boating and other water sports. Visitors enjoy the many boat tours and rentals as they explore the beautiful 1000 Islands region in Cape Vincent, NY. Both Lake Ontario and the St. Lawrence River offer superb fishing conditions, which draw in fishing enthusiasts nationwide. The vicinity has long been known as "The Muskie Land" due to the abundance of muskellunge in these waters. The village has a glorious past, preserved in its local museums, as well as strong French heritage celebrated at the annual French Festival in July. Cape Vincent is the only destination to offer an auto ferry across the mighty St. Lawrence River from the US to Canada. The ferry departs from Cape Vincent, lands at Wolfe Island for a scenic drive, and picks up again for a Kingston, Ontario destination. With so many attractions and such a beautiful atmosphere along the St. Lawrence River and Lake Ontario, Cape Vincent is the perfect destination for a vacation or honeymoon in the Thousand Islands. The area offers many great hotels and restaurants to accommodate any visitor, from those with the smallest budget to those with the most lavish taste.